How Much Cryotherapy Should I Be Doing? One of the biggest questions asked regarding Cryotherapy is how often should I be doing Cryotherapy? Much like anything else, the answer is largely dependent on a client’s desired results. However, we do know dependable therapy often comes with a steep price. My goal in this article is to explain our suggested protocol and give the you the practical requirements for the results you’re looking for. Do I get benefits from just one sessions? Yes! Cryotherapy will provide many benefits in just one session! Everything from hangover relief, elevated mood, pain relief, calorie burn, headache relief, energy, accelerated muscle recovery, flushing of toxins, and improved cognitive focus and function. How many times do I really need cryotherapy? After dedicating my time to thorough research and coupled with first hand experience, my personal belief when it comes to minimal use of cryotherapy for maximum benefits, is using the 10 day in-a-row experience. If you can budget it, go for the 30 day Challenge. The reason goes deeper than energy, muscle healing, fat burn, and skin care. In fact, it goes to the core root of your cell function. Function describes what cells do; in a multicellular organism (like us) the function is why we exist. The structure makes it possible for a cell to perform its function. Thus, enhanced cell function directly affects and accelerates those desired benefits. According to Dr. Rhonda Patrick’s thorough research, cold exposure increases activity of antioxidant enzymes. One of the side effects of ramping up fat oxidation to burn stored fat for energy, is the production of those damaging reactive oxygen species that damage nearly everything inside cells, including DNA. This is actually a normal product of energy metabolism, and, in a way, is a natural part of being alive. At the end of this blog post, I will review over different categories of needs and the suggested protocols for each one. How we respond to this damage and mitigate it is ultimately what’s important. Reactive oxygen species, by contributing to things like DNA damage and cellular senescence, are a huge component of the very process of aging and also a sign of mitochondrial dysfunction. Being able to prevent that damage from occurring or being able to repair it after it does occur is extremely important to staying healthy, and cancer free! Interestingly enough, it appears as though exposure to cold, by functioning as a hormetic stressor, actually activates very potent genetic antioxidant systems which are exponentially more powerful than supplemental antioxidants. These provide the body with the tools it needs for better function and damage repair. That is just the beginning of why activating these antioxidant enzymes create a longer-lasting benefit and enhanced results. 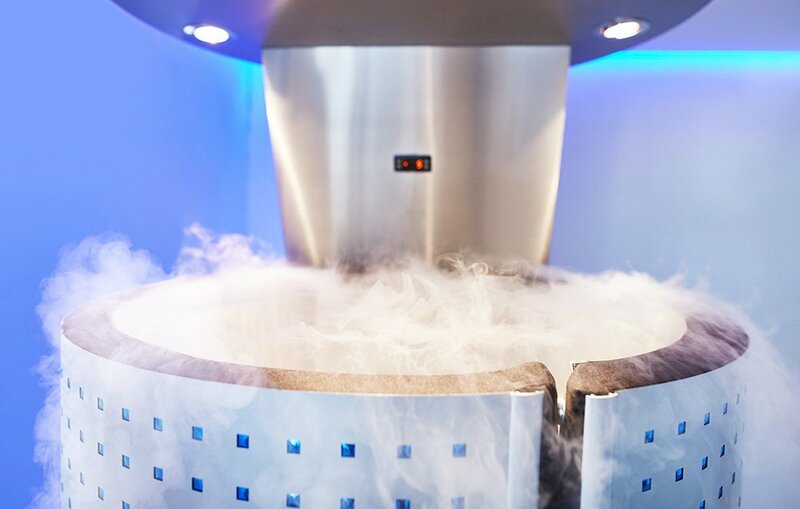 For example, young men exposed to cryotherapy for 3 minutes at ­202°F (−130°C) every day for 20 days doubled the activity of one of the most potent antioxidant enzyme systems in the body called ‘glutathione reductase’, and increased another potent antioxidant enzyme called ‘superoxide dismutase’ by ~43%. Similarly, elite kayakers that engaged in whole body cryotherapy (­248 to ­284°F or ­120 to ­140°C) 3 minutes a day for 10 day increased the activity of superoxide dismutase by 36% and glutathione peroxidase by 68% . That is pretty stout. For those of you not familiar with superoxide dismutase, this enzyme is in your mitochondria cleaning up all that damage that is being produced every second of every day. In other words, it is incredible. It is also important to note that the increase in antioxidant enzyme activity, in this case, took multiple sessions of the whole body cryotherapy. Concluding, the more frequent cryotherapy was done, the more robust of an increase seen in activating these powerful antioxidant enzymes. Do I have to do Cryotherapy everyday forever to experience these effects? The answer is No. Once you activate this response, it is believed to ‘unlock’ and become adopted into the body’s response when exposed to these extreme temperatures. Yay for free anti-aging enzymes! Most of the research I have found involves patients getting WBC 1-2 times a day for up to 3 weeks straight. This is why WBC is reported to be so effective, and why I wholeheartedly believe everyone should do 2-4 weeks of Cryotherapy everyday once in their lifetime. WBC is not a miracle cure for disease and/or pain. However, it vastly stimulates the body to heal itself. Any type of chronic health problem or injury will take time to overcome. If you want to really see what WBC can do for you, you need to be consistent and give it enough time to do its job. Thinking that just a few sessions will overcome a chronic health issue is simply unrealistic. Have more questions? I have more answers! Please feel free to contact me at Torrance@riseprimewellness.com at any time!